DETROIT -- Volkswagen unit Electrify America said on Monday that it plans to install 2,800 electric vehicle charging stations in 17 of the largest U.S. cities by June 2019. The charging stations will be located at roughly 500 sites, with around 75 percent of them at workplaces and the rest at multifamily dwellings such as apartment buildings. VW has agreed to spend $800 million in California and a total of $2 billion nationwide on clean car infrastructure as part of its agreement after admitting to diesel emissions cheating. "One of the biggest barriers to the mass-market adoption of electric vehicles is access to chargers," Mark McNabb, CEO of Electrify America, said in a statement. Major automakers such as General Motors and Ford have announced plans to launch whole families of electric vehicles in the next few years. One problem the auto industry must overcome for mass adoption of electric vehicles is a lack of national charging infrastructure for use by consumers. 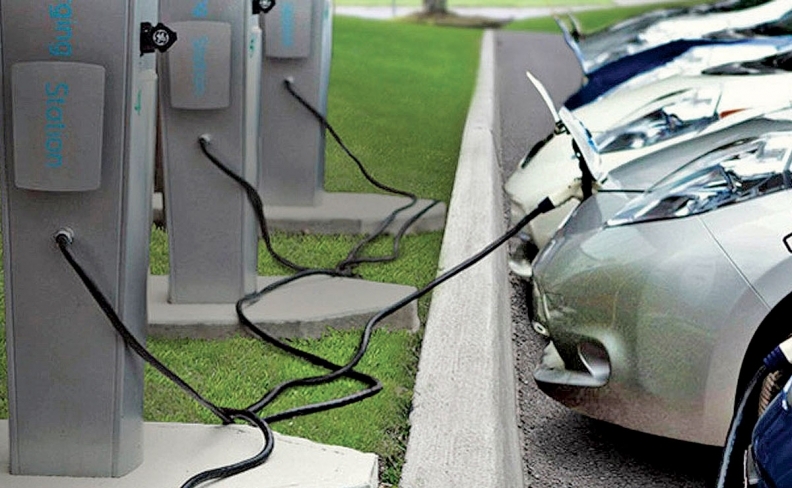 Electrify America said it has selected charging station companies SemaConnect, EV Connect and Greenlots to install them. "There hasn't been a significant catalyst yet for ramping up the number of charging stations," Scott Fisher, Greenlots' vice president of market development, told Reuters. "This is an unprecedented opportunity to help create the electric vehicle infrastructure we need across the U.S."
The diesel emissions scandal has so far cost Volkswagen as much as $30 billion. Earlier this month, U.S. VW executive Oliver Schmidt, a German national, was sentenced to seven years in a U.S. prison for his part in the scheme.